Why do I need a barcode for Amazon? In 2008 Amazon began requiring UPC, EAN, or ISBN bar codes for all products sold on Amazon.com. Scannable bar codes reduce handling times in shipping centers and lessen errors in order fulfillment and shipping. All items sold on Amazon must have a UPC, EAN, or ISBN bar code number. When do I need a barcode for Amazon? If you are reselling a product that is already listen on Amazon you will not need to enter a UPC or EAN code. If your product isn’t listed on Amazon, then you’ll need to provide the UPC or EAN barcode already assigned to that item by the manufacturer. If you have manufactured your own product you will definitely need to buy a UPC or EAN barcode. Luckily, it’s relatively easy to list your product on Amazon, and purchasing UPC and EAN barcodes from Bar Codes Talk is quick, easy, and inexpensive. How do I prepare my product to be sold on Amazon? 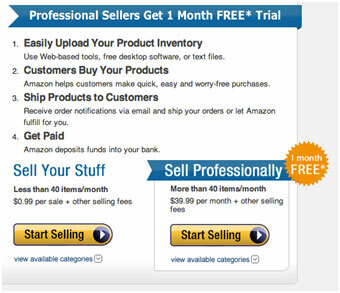 Choose either an Individual or Professional seller account on Amazon. 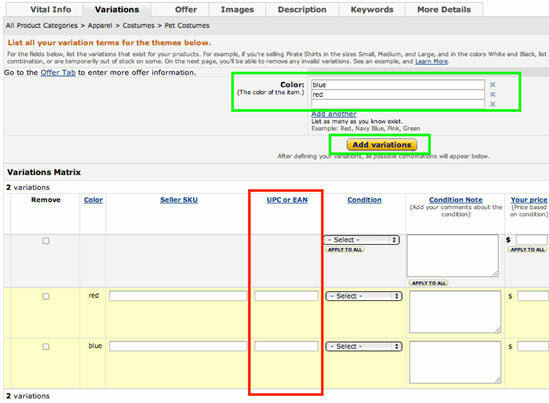 Search to see if your product is already available in the Amazon database. OR If your product can’t be found already on Amazon, you must select a currently available product, set up your seller account, and then delete the product. More information about setting up a seller account can be found here. 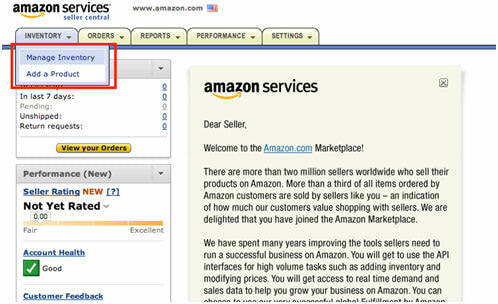 Once you’ve entered the home page for your selling account you will then need to upload your inventory. 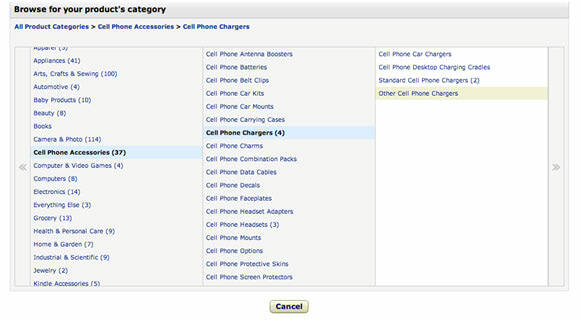 Click “Add a Product” in the “Inventory” tab in the upper left hand corner. Enter in a means of identification to find the product, answer the questions, and submit your product. Enter the product’s selling information (the page may be longer or shorter than the example depending on the category of your product). Once the variation is selected, a “Variations” tab will appear between the “Vital Info” and “Offer” tabs. 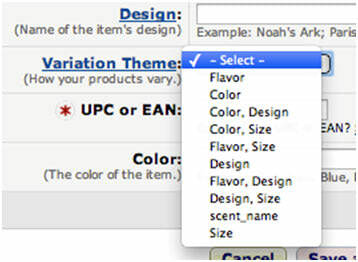 Within the “Variations” tab enter the different variations for the product (green box). 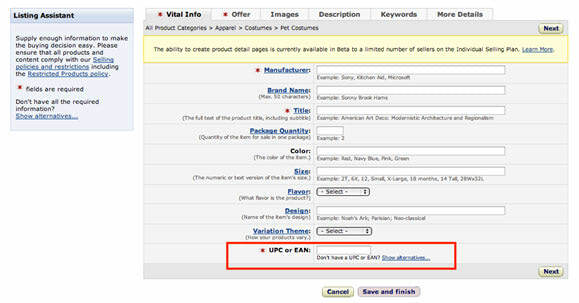 Enter the UPC or EAN purchased from Bar Codes Talk for each variation of your product. Your products are ready for purchase! If your product will be shipped to Amazon’s fulfillment center before being shipped to the customer, then your product must be affixed with a UPC or EAN bar code label. The bar code image cannot be obscured by protective packaging or otherwise. The bar code should be placed on the back of the product in the “lower right quadrant”. The bar code label affixed to the product much match the UPC or EAN number that was digitally assigned to the product. Bar codes must be printed with black ink on a white background with 1/4 – inch of white space on the left and right sides of the barcode. Selling your company’s products on Amazon can be a highly lucrative addition to your business plan. It’s a great way to reach new customers outside of your local demographic, thus expanding your merchandising territory, and it can be done entirely from your home computer. Just set up an account, purchase your UPC and EAN barcodes from Bar Codes Talk, and watch your business flourish.